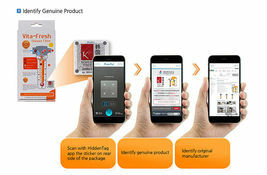 This item is selling for $73.00 on eBay. - Totally neutralizes chlorine in your shower water. - Release Vitamin C into your shower water. 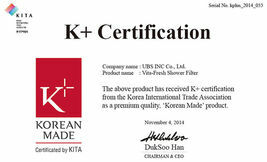 - Helps to improve the condition of skin and texture of hair. - Pharmaceutical food grade of Vitamin C contained. 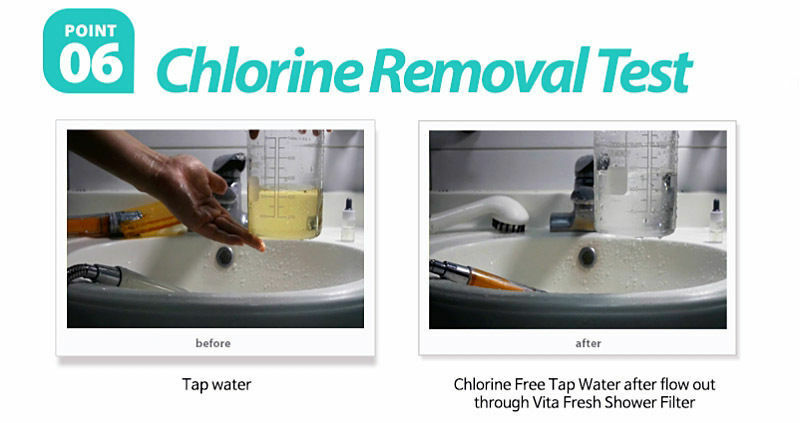 - Meets the de-chlorinating requirements of the EPA's Fresh Water Act &   environmentally safe. 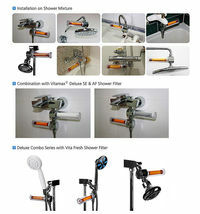 - No loss in your shower water pressure. 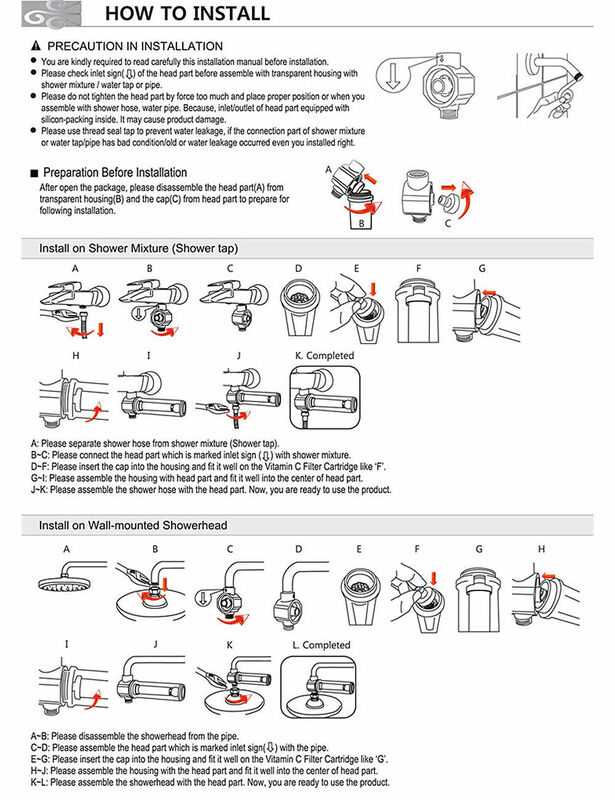 and easy to know when you have to change the  filter cartridge. 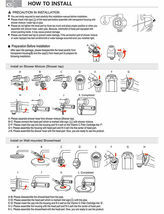 - Easy to change the filter cartridge. 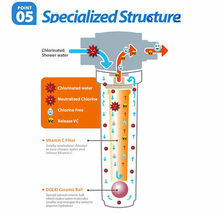 It has unique structure which can control to release the amount of Vitamin C.
By this unique structure, it release Vitamin C in exact quantity into the water to neutralize chlorine perfectly. making it the best and safest way to remove residual chlorine, and, it is an ideal method to protect the sensitive skin from chlorinated water. 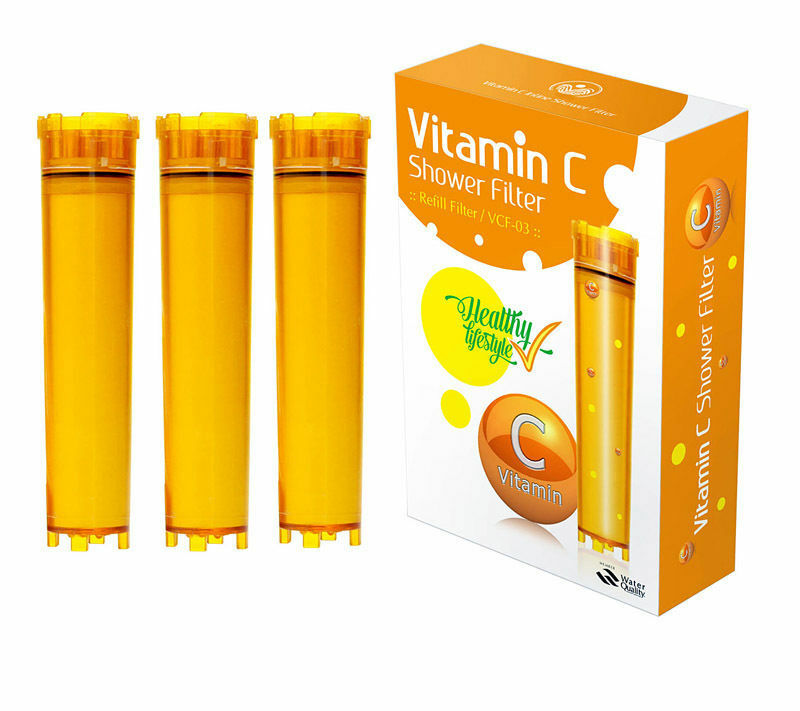 Vitamin C Shower Filter contains about 25 grams of Vitamin C and is capable of neutralizing chlorine in 10,000 liters of water. Our Vitamin C shower filters contain 100% pharmaceutical grade. How do i Vitamin C shower filters work to remove chlorine and chloramines from water? 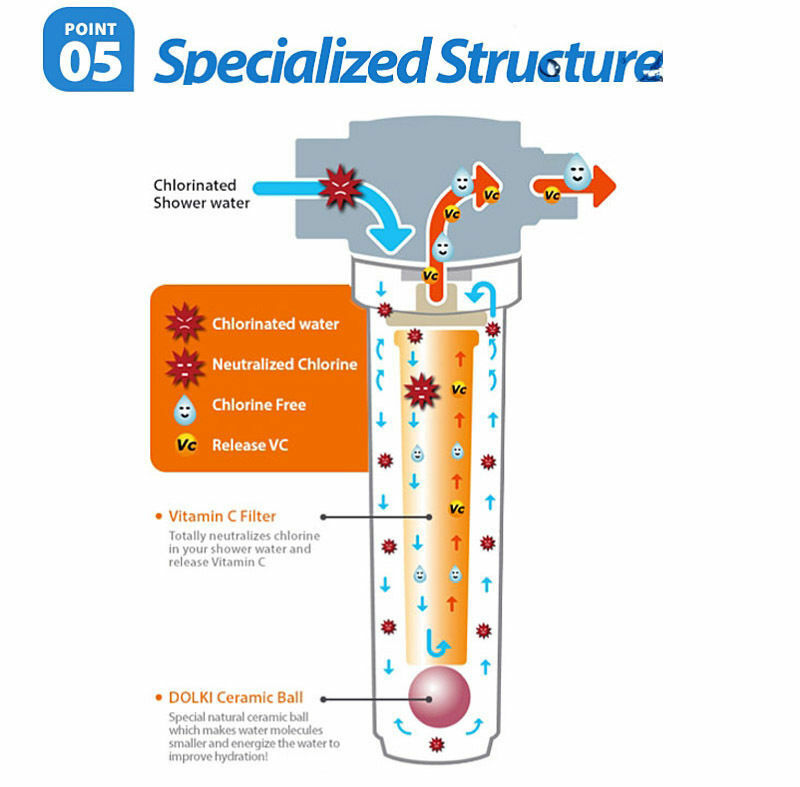 Our Vitamin C shower filters utilize ascorbic acid for de-chlorination. Vitamin C does not hold chlorine, it neutralizes chlorine from an element into a harmless compound/anti-oxidant. Vitamin C is the safest and least toxic of any other de-chlorination media. It fully neutralizes chlorine and chloramines from your shower water, and provides additional nutrients for your skin and hair. 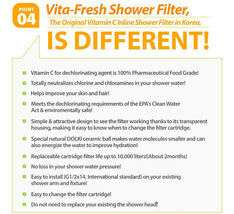 Also, Vitamin C shower filters work better in hot water, while other filters do not. It balances the pH level of the water. 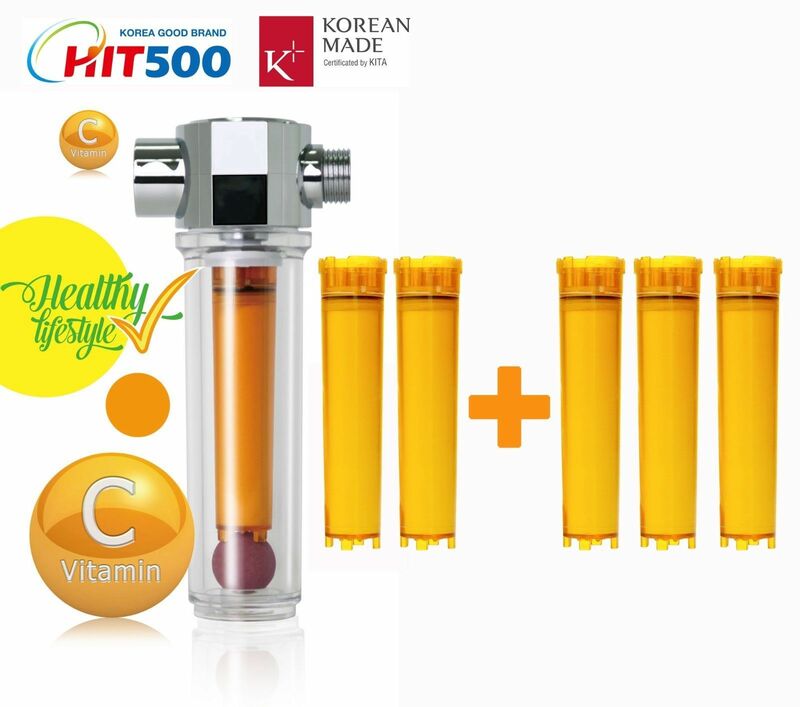 The Vitamin C shower filter cartridge case is transparent. You can actually see the Vitamin C crystals in the cartridge. this is the time to replace with a new cartridge. 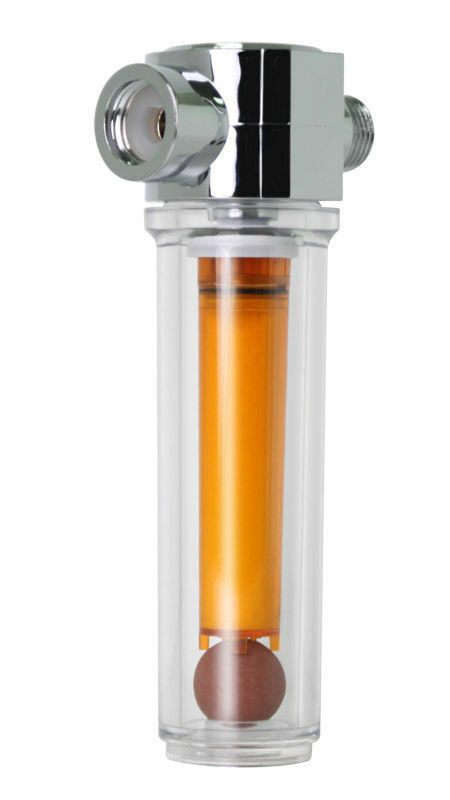 How long does the Vitamin C shower filter cartridge last and how many liter of water will it filter? 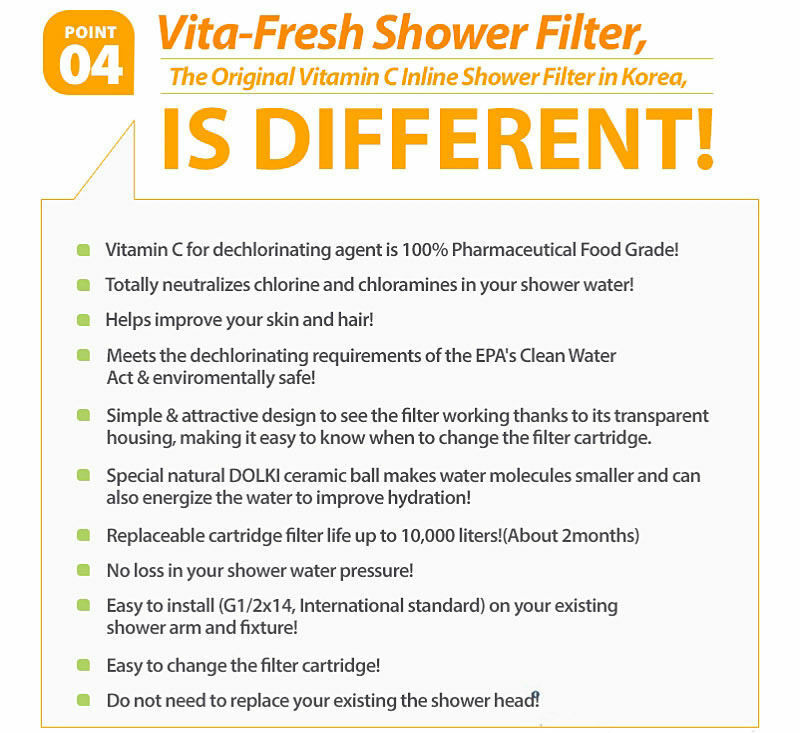 The Vitamin C shower head filter cartridge has a life-time of anywhere between 1-2 months depending on the amount of usage. 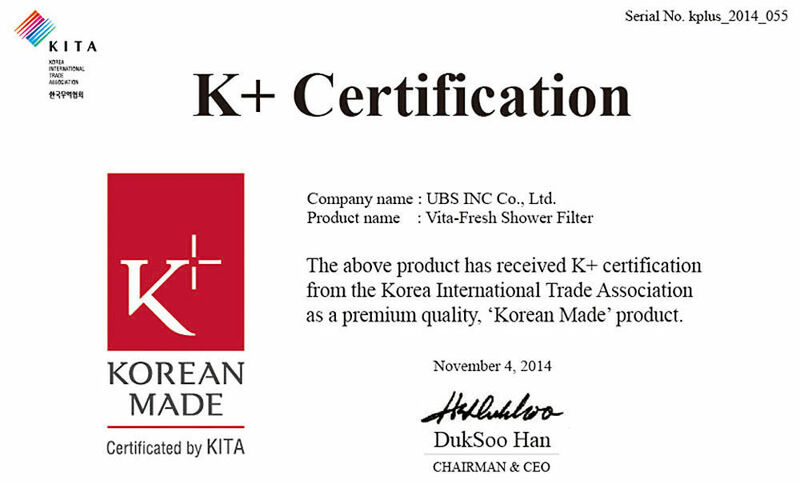 The filters can effectively purify up to 10,000 liter of water.